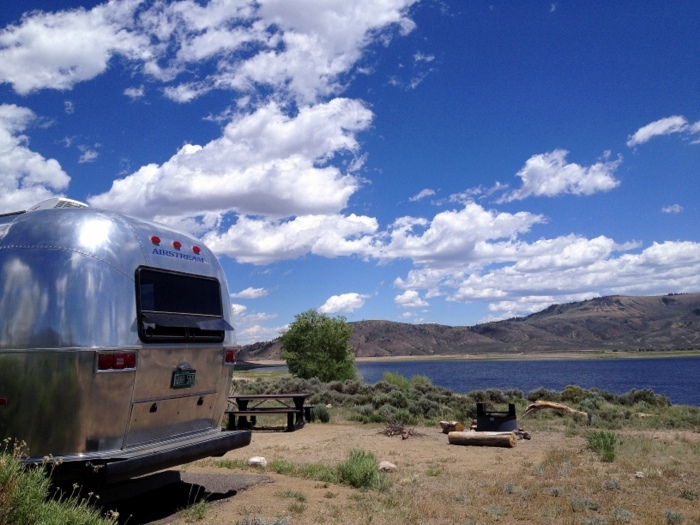 We had planned on spending an entire week camped on the shores of the Blue Mesa Reservoir. 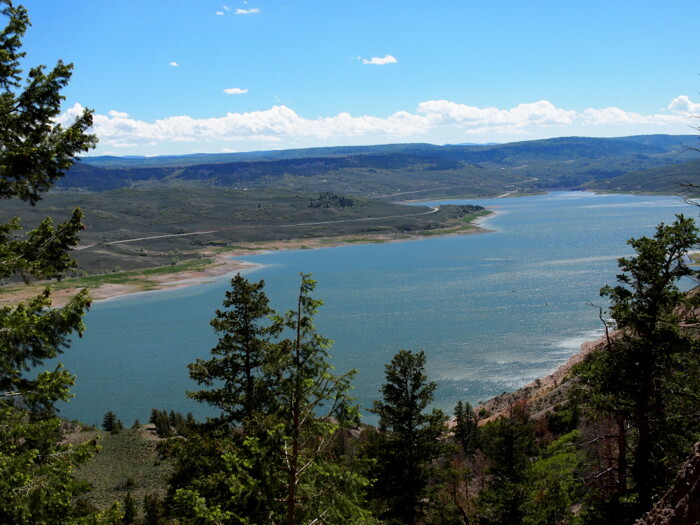 At twenty-miles long, and boasting over almost one hundred miles of shoreline, Blue Mesa is Colorado’s largest body of water. 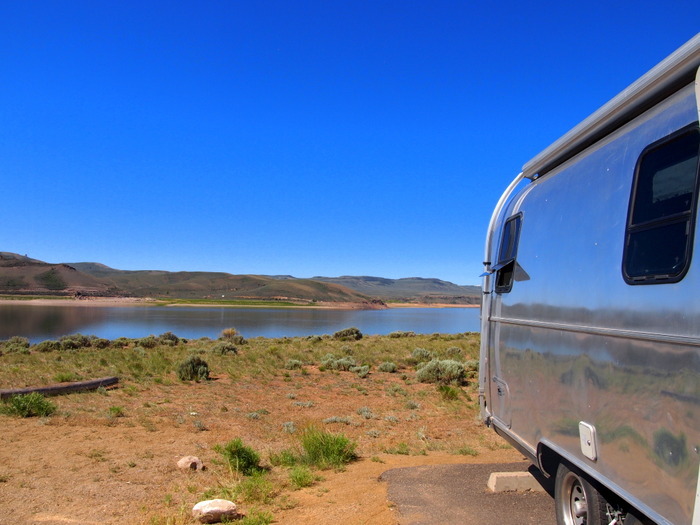 This dazzling stretch of blue water is a camper’s paradise with ten waterside campgrounds run by the Curecanti National Recreation Area. 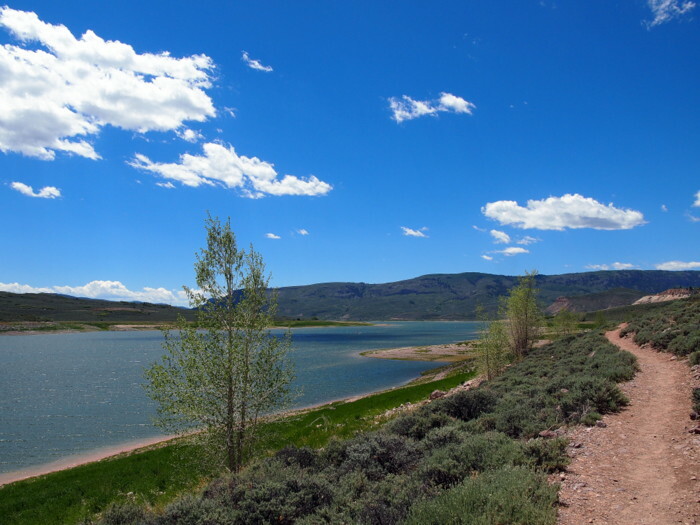 Steven’s Creek campground, at the very east end of the reservoir only ten miles from the town of Gunnison, was our choice for the week. 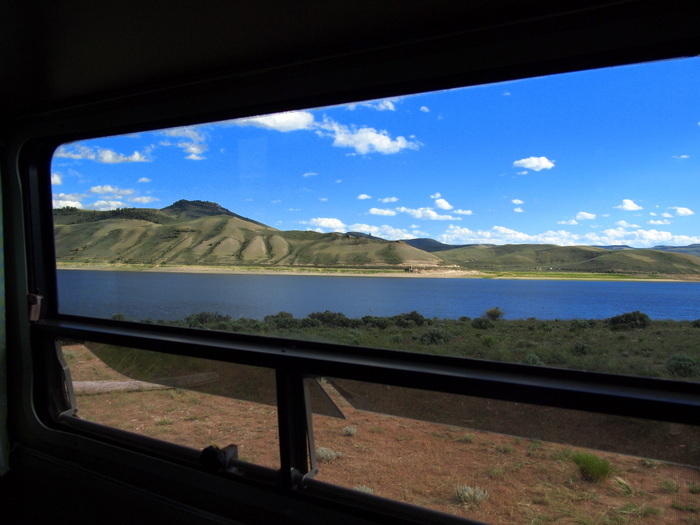 Besides the stellar $12/night waterfront sites, we had hoped that its proximity to town would ensure that Steven’s Creek had adequate cell service. Alas, we were wrong. I guess now would be the time to fill all you readers in on the fact that Tim has a new full-time job, which means we need to always have a good Internet connection during the work week. For most of the winter he was only working an odd job here or there, so if our connection was spotty, we could generally work around it. That’s not the case anymore, hence our need for a good cell signal. At Steven’s Creek, we only got a tiny bit of both Verizon & AT&T. Enough to send an occasional email, but not enough for an entire week of work. Lucky for us, since we arrived on a Saturday we decided to stay one night and make the best of the time we had. 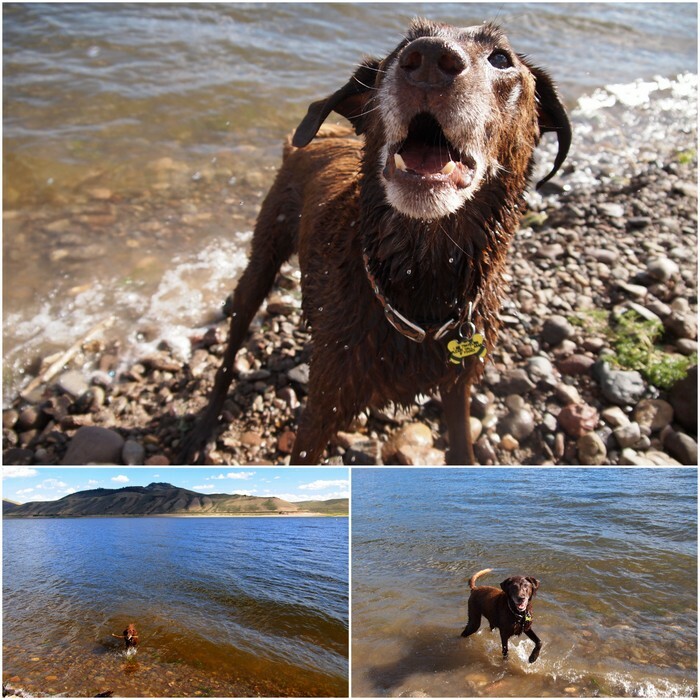 The first order of business was to take Phineas swimming. He made it down the hill and to the water about twice as fast as we did. After the dog was wet and happy, Tim and I took ourselves on a hike to see some cool volcanic rock formations called The Dillon Pinnacles. 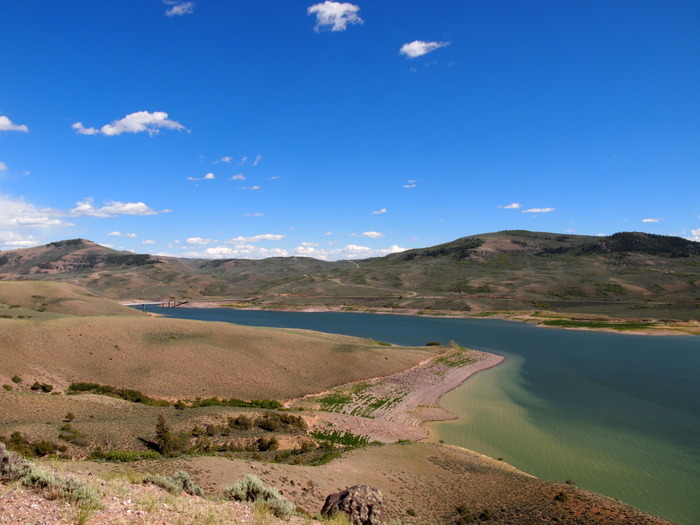 The trial began at the edge of the water and wound its way up a sagebrush filled hillside to the base of the pinnacles. As we got closer we could make out the really cool shape of the pinnacles. These geologic wonders are the result of a period of abundant volcanic activity about 30-35 million years ago. 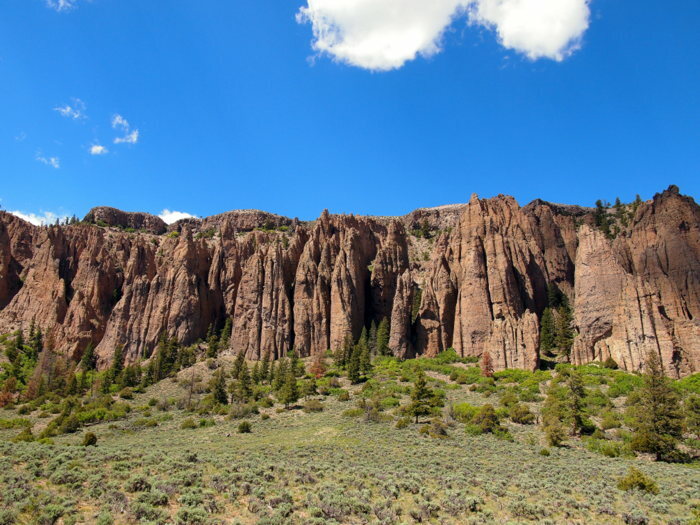 The Dillon Pinnacles were formed when a huge volcanic mud flow of ash and volcanic debris spewed from numerous violent eruptions in the nearby West Elk Mountains. 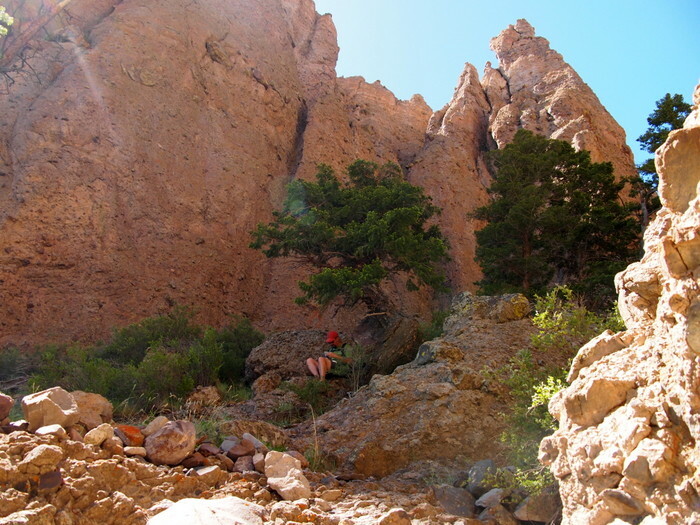 The trail ended about 500 yards from the base of the pinnacles, but we pressed on and up to a gully between two of the pinnacles in search of a Geocache. It got really steep as we climbed between the pinnacles, and the loose rocks caused a few slips along the way. 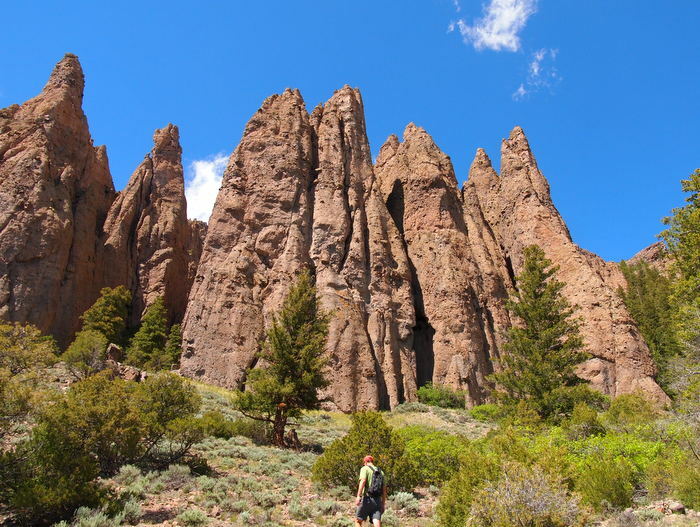 The tall pinnacles on either side also made for a challenging search since our GPS was not getting a proper reading. Finally, after fruitlessly searching several wrong areas, Tim discovered the cache tucked under a twisted Juniper tree. From up high between the pinnacles we had an awesome view of the reservoir below. We made our way back down the trail and after a quick stop at one of the conveniently placed benches, proceeded back the way we had come. At the end of the trail, I couldn’t resist taking one more photo of the gorgeous water. This is the view looking east. That evening we took a walk around the campground (no photos, sorry) and discovered a few things that made us a bit less sad to be leaving. First of all, the campground was infested with red ants-big red ants that bite. We stopped to chat with the rangers for a few minutes and three big guys starting crawling on my flip-flop covered feet and up my leg! Also, the bugs in the evening were pretty bad, too the point that you really couldn’t stay outside. Lastly was the strong wind that blew through the treeless campground. 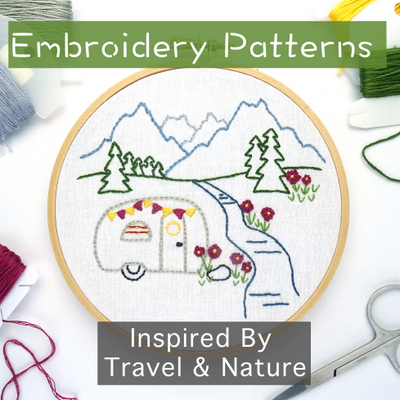 While we could have easily dealt with these three things, it made us feel better to know that we weren’t leaving behind a perfect campground. We felt even better about leaving when on Sunday afternoon we found our new spot for the week nestled in a forest alongside a river- with an excellent cell signal! More about that in the next post. Awesome spot and love the shots! Too bad about the internet. Yet another area of CO that we haven’t seen. You should put this one on the list for a future visit. 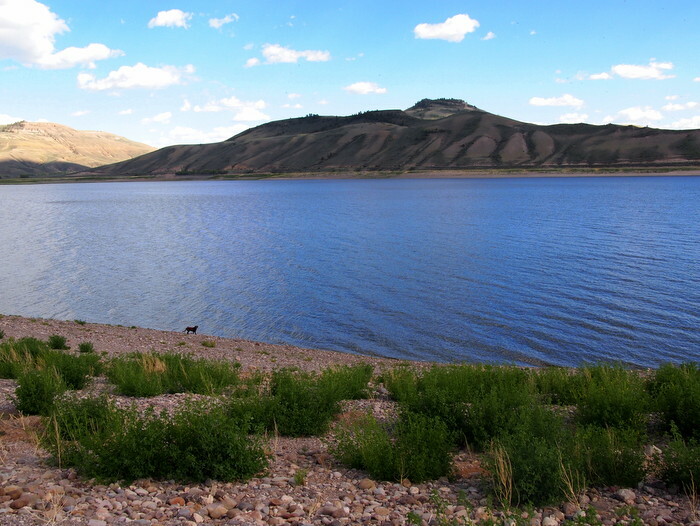 The beauty of the reservoir was simply amazing! You and Kelly will be there in spirit! 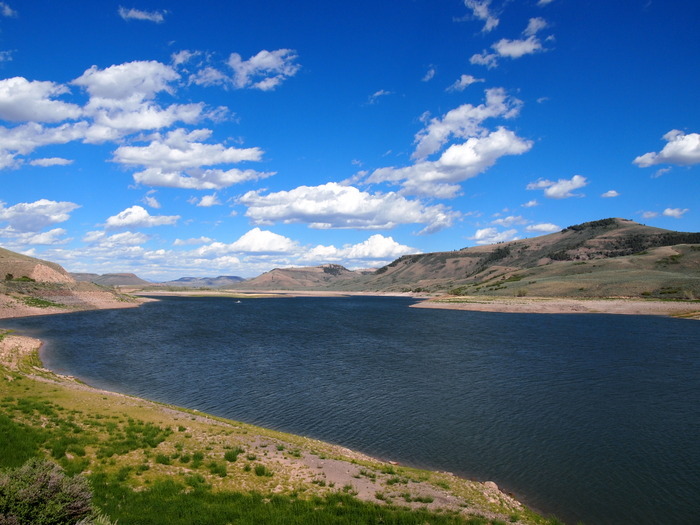 Where did you go after Blue Mesa Reservoir? The place with the trees? 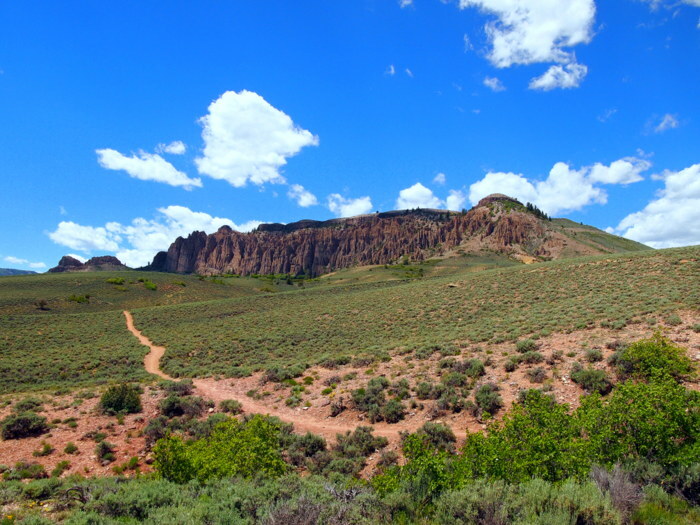 Im going to Blue Mesa this weekend.